Description : A compact purse for ladies. It is made from the Alba Tamponato of Italy. 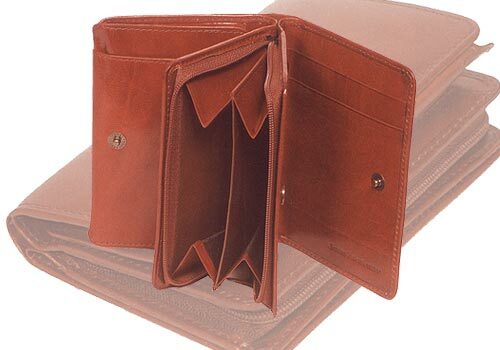 In the middle is a zip purse for coins with two portions separated by a divider. On opening the button of the RHS of the zip purse, there are two note compartments. The LHS opens to a flap and a net window. 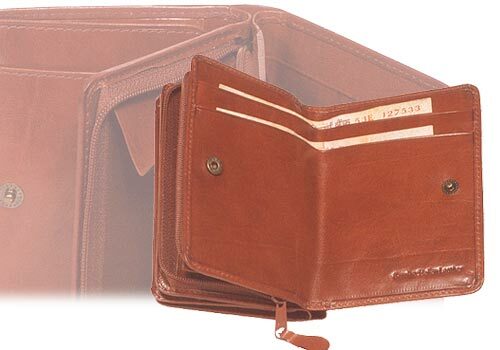 On the LHS there are three credit cards slots and a deep pocket of size 10.5 x 8.5cm. 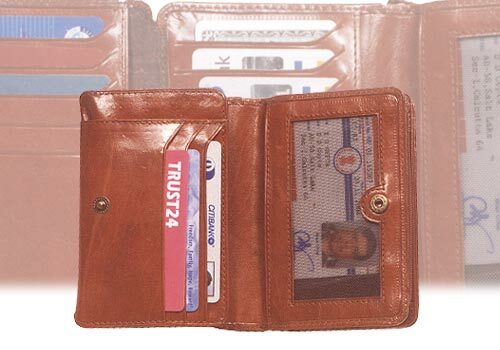 When open, the flap shows a side pocket and five credit card slots on both sides. Altogether there are slots for 13 cards.